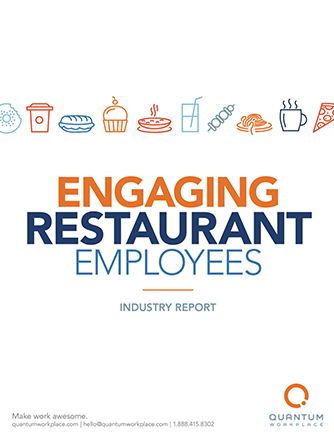 Few industries rely more on their workforce’s connections with customers than restaurants. And very few industries enjoy as high levels of employee engagement. But no business is immune to the pressures of the marketplace, particularly pressures affecting its workforce. Impending industry trends will pose great challenges for restaurants, and engaged employees are the only way these organizations can hope to survive.